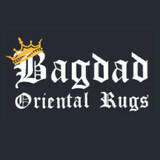 Largest Stocking Carpet Store in the Greater Houston Area! Slip Free Systems is a floor coating company for your indoor and outdoor floor coating projects in epoxy, urethane, stain and sealants. If it is industrial we've got you covered and if it is decorative we have the perfect solution for you. Since 1994, Viking Carpet One Floor and Home has been a respected supplier of high quality flooring products and installation services throughout the Harris and Montgomery County areas. Viking is a family owned business but the affiliation with Carpet One allows for greater buying power as well as a greater manufacturer support. No matter if you're looking for a full service company or looking to find a convenient cash & carry store - Viking Floors can offer everything you need from counter tops, tile, carpet, hardwood, laminate and LVT, Sand & Finish hardwood floors, to showers, tubs, staircases, area rugs and more! In addition to quality products, we also have great promotions that we are sure you'll love. 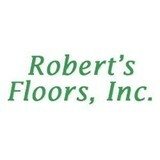 *Authorized Dealer of Shaw Floors* Take a stroll through our showroom and explore our many products and brands. We carry area rugs, carpeting, ceramic/porcelain, cleaning/restoration, countertop/surfaces, flooring accessories, installation materials, laminate flooring, natural stone floors, paints/coatings, specialty floors, vinyl/resilient, wood flooring, and so much more! Stylish Carpets works directly with contractors and architects to specify products for the Builder/Residential market segment. We can bid on any job to your specifications, and because of our thorough knowledge of materials, applications, and code requirements, we can also assist you with preparing a finish schedule and specifications for bid. Over the years, our flexibility and reliability in meeting even the tightest schedules has helped us to build an impressive list of clients. Flaherty’s Flooring America, formerly known to many as Carpet Masters of Texas was established in 1992 by Patrick Flaherty. Through hard work and with dedicated, caring employees, we have continued to grow our business. From the first day the store opened, our customers could count on three things every time they shopped at Carpet Masters of Texas. 1. A fair price 2. Consistent quality and service 3. An in-home measure and consultation with the owner of the company A lot has changed over the years, our business has grown tremendously, but three things haven’t changed. Our customers still receive a fair price, quality installation and many times Patrick's smiling face at their doorstep. Several years ago Patrick realized that he needed to take the next big step in customer service and sales. He applied to become part of the largest flooring organization in America. 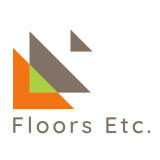 FlooringAmerica is an elite group of flooring stores that offer the best the industry has to offer. Very few companies meet the criteria of becoming a FlooringAmerica dealer. In 2003 we were proud to be selected to become a FlooringAmerica dealer. What a difference it has made! We changed our name to FlooringAmerica by Carpet Masters in 2005 and more recently to Flaherty’s Flooring America in 2008. The name may have changed, but we didn’t. We are still your individually owned local flooring store with the flair and atmosphere that only Patrick Flaherty and our staff can bring. We are now able to offer our customers combined services that no one can match. 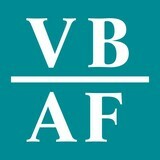 Flaherty’s Flooring America now offers unbeatable warranties, customer financing, great values and low price guarantees. Give us a chance to show you the difference that only FlooringAmerica can offer. *Authorized Dealer of Shaw Floors* Floor Coverings International provides expert flooring design and installation to the Houston area! We offer a wide variety of quality flooring products, from carpet, porcelain and ceramic tile, hardwood, luxury vinyl, to eco-friendly bamboo. Our flooring experts will help you achieve the floor of your dreams, right from the comfort of your own home with a free in-home flooring consultation. We bring our mobile showroom to your door! Contact us today to learn more. 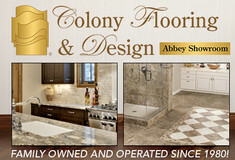 Welcome to Colony Flooring & Design! For over 31 years Colony Flooring and Design has been servicing the Ft. Bend, Houston and surrounding area residents and businesses! With quality products and honest, dependable craftsmanship, Colony Flooring and Design is a great local choice for you next home or office remodeling project. Call today for a FREE, no obligation estimate! Colony Flooring & Design is your one-stop showroom for all of your floor covering needs. Our desire is to provide the best selection of carpet, hardwood, laminate, vinyl, and tile in a friendly, comfortable and helpful atmosphere. Postmodern Traditions Custom & Contemporary Rug Gallery brings affordable elegance to Houston’s design community by incorporating the distinctive quality of a 4,000 year weaving tradition with the most innovative contemporary inspirations. Primary partnerships with Lapchi, Tufenkian, Wool and Silk Rugs, and Tibet Rug Company allow us to offer a stunning range of custom, contemporary, and transitional rugs in an intimate, boutique setting in which personal service comes first. In keeping with our dedication to social responsibility, we support producers of GoodWeave certified Tibetan-style rugs handwoven by artisans in Nepal. Let Postmodern Traditions transform your space into the room of your dreams. Call 713-750-9891 to schedule a visit to our gallery. Postmodern Traditions is the sister shop of Pride of Persia Rug Co. Owners Lisa Slappey and Mehdi Abedi offer clients more than half a century of combined expertise in the Houston area rug market. Carpet dealers in Houston, TX help homeowners choose the correct carpet covering for their floors, and also assist with carpet maintenance. This includes determining factors like material, carpet pile, durability, color and size, as well as helping with any custom carpet design. After completing the initial installation (which includes removal of the old flooring, if applicable, and surface prep), they may also handle follow-up maintenance requests such as carpet cleaning, carpet repair and carpet stretching. Find a carpet dealer on Houzz. Narrow your search in the Professionals section of the website to carpet dealers in Houston, TX, and read reviews and ratings for pros in your area.